Time to get a job, right? What about after my studies? There are plenty of doors open to you once you’ve got your degree. You can find your dream job, start your own company, go into research or do something completely different. 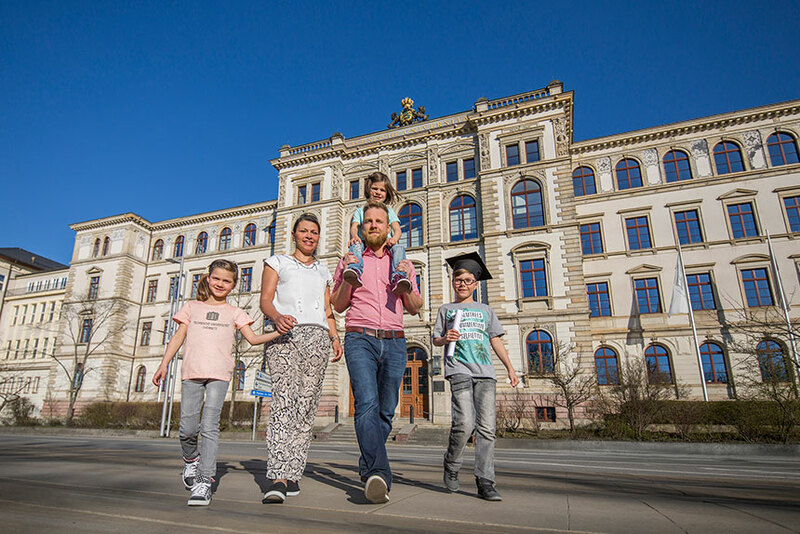 And that’s not all: from the Children’s University to the Senior College, Chemnitz University of Technology is here to guide and support you through different stages in life. 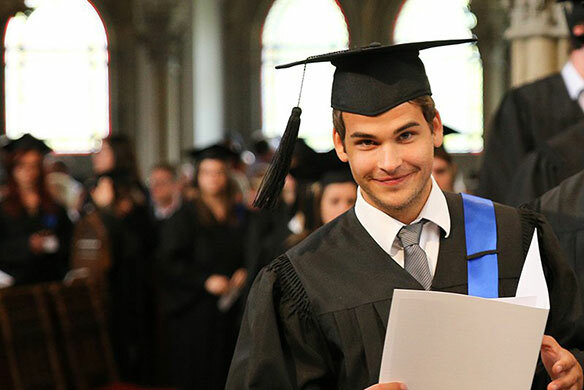 Master’s courses at Chemnitz University of TechnologyOne of the most important arguments in favour of doing a master’s degree is the chance to specialise and gain further qualifications, as well as excellent career opportunities and the prospect of going on to complete a doctorate. As with bachelor’s programmes, there are many different kinds of master’s degrees. The most common types include the Master of Arts for the humanities and social sciences, and the Master of Science in IT, economics and science. Here you will find an overview of all master’s courses at Chemnitz University of Technology. The TU also offers extra-occupational master’s programmes [de] . Find the right master’s programme for youSo you’ve established that you’d like to continue with a master’s programme, but there are so many courses to choose from that you are feeling a bit overwhelmed? The Subject Adviser for your course [de] can help you with subject-related questions and advise you whether you are suitable for a master’s programme. The Central Course Guidance Service will help you with preparing your application and any questions about admission. When they have finished their bachelor’s degree, some students find it difficult to decide what exactly they want from a master’s programme. No problem: personal academic advice [de] can help you decide what your goals are. Professional prospects with a bachelor’s or master’s degreeWhile a master’s degree is usually a requirement if you want to go into research and development, your professional prospects in the humanities are often pretty good with a bachelor’s degree, provided that you have already gained some practical experience. If you have any questions about your professional prospects with or without a master’s degree, the Career Service is happy to provide advice. Once you’ve got your bachelor’s degree, you have the option to continue with a master’s programme. You can deepen your knowledge of your previous core subject (e.g. from your bachelor’s degree), or you can head in a completely different direction with an interdisciplinary course. A master’s isn’t always essential. Although virtually obligatory in traditional professions such as law, medicine or teaching, in other subject areas, a bachelor’s degree is often all you need to find a good job. This is even more likely to be the case if you have already obtained some work experience whilst studying. If you know where you want to go, the master’s question is easy to answer. But if you’re still unsure, TU will always be here to provide excellent support and advice. Where can I work after my studies, and doing what? The Career ServiceThe Career Service provides advice and training, and acts as an intermediary between you and its partner companies. The Career Service has contacts to many companies, which can help you to find out what their requirements are for graduates who are beginning their careers and what else is needed to successfully enter the job market. The staff in the Career Service can also check your applications and give you feedback on your CV. University Team from the Employment AgencyThe Employment Agency University Team [de] provides advice and can put you in touch with companies when you are looking for a job. You can be sure of advice and support as you take your first steps into your professional future – tailored precisely to you as a university graduate. A completed degree offers so many opportunities to broaden your employment prospects that it’s easy to feel a little lost. The Career Service bridges the gap between studying and your career, providing information, advice and training opportunities. The staff in the Career Service can also answer any questions you might have about applying for a job and taking your first steps into the world of work. Doing a doctorate means systematically continuing your studies and heading in the direction of research. In some subjects, such as chemistry, a doctorate is virtually obligatory. Your doctoral thesis is your independent contribution to research, in which you present new scientific findings. Once you have successfully completed and published your doctoral thesis, you may add the title “Dr.” before your name. You can get support and advice for your doctoral plans at the Centre for Young Scientists. Being a salaried employee isn’t for you and you really want to be your own boss? Or you’ve got an innovative idea and would like to go it alone and found your own business? With the support of the SAXEED start-up network [de] , you can get all the tools you need to start your own company. Get some sound advice on starting a business and apply for initial financial support. Whether you studied in Chemnitz, worked here, completed your doctorate or qualified to teach at a German university, and regardless of how long you were here for, you are a part of our university family ‒ because you spent a key part of your life here at Chemnitz University of Technology. As a TUC alumnus or alumna, you can maintain existing contacts and establish new ones in our network of former students and staff. Keep up to date with the newsletter, on social media or at events and alumni gatherings, and remain a firm part of the TUC family. Public eventsLots of interesting public events on a whole host of different subject areas and research fields can be found in our events calendar. Exciting lectures for kidsToo young for uni? Never! Each semester, Chemnitz University of Technology regularly hosts a range of exciting lectures for children over 7 [de] . The youngsters find it especially cool when our chemists get things going with a bang – in the most literal sense of the word! 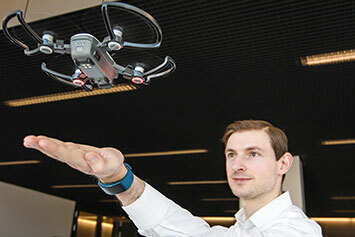 Experience technology first-hand at the Creative CentreExperience the fascinating world of technology in everyday life at the Creative Centre at Chemnitz University of Technology [de] . There is a wide range of informative and educational opportunities designed especially for pupils, teachers, early years teachers, and parents available here. It’s well worth checking out! Attend TUC lectures as a visitorCan you really attend lectures without being enrolled as a student? Yes! With our guest auditor service [de] . A fee is payable for this service, and it can be used for up to 9 x 1.5 hour lectures. So keep an eye out and listen in! Extra-occupational further trainingTogether with the institute of tranfer an further education "TUCed" [de], Chemnitz University of Technology offers a variety of master’s programmes for further training [de] – they are needs-based and extra-occupational. Attending the courses will give you a high degree of technical and vocational flexibility, and you will receive an internationally recognised state university certificate, opening up new opportunities for your career. Senior CollegeYou’re never too old to learn! Every Tuesday, interested senior citizens can attend the Senior College [de] for fascinating, interdisciplinary lectures on topics ranging from scientific and technological progress to history, art and culture. And because learning is a bonding experience, the Senior College is also an excellent way to make new contacts with inquisitive participants of all ages. From the Children’s University to the Senior College, Chemnitz University of Technology is an important creative, cultural and technological engine for the city. You and your whole family can experience this first-hand in the many public lectures, seminar series and other events.